Ready to learn how to mix like a pro fast? This post tells you everything from beatmatching to some of the best mixing hacks! Buying your fist set of shiny new decks is super exciting! And when they arrive in the post you'll be eager to plug them in and crank up the volume so you can learn how to mix. When you first learn how to mix you'll probably concentrate on nothing but beatmatching. But there's more to it than just matching beats! When new DJ's learn how to mix, most don't take the time to understand how music is made. But you need to know certain things, like what makes two tracks fit together perfectly..
Knowing where you need to drop that first beat on the second track is just as important as beatmatching. And what about EQing to get the perfect blend? If you don't get these things right you'll end up with a mix that sounds like a herd of elephants running at you. But get it right, and all of your mixes will flow perfectly from track to track. You'll also need to know how to set the EQ's, these are the bass, mid, and treble settings on a DJ mixer. And how to set the right volumes to keep your levels consistent, we'll go through all of this and more. We'll even give you some mixing tips and hacks to really speed up the learning curve. Before we get started you'll need to know exactly how to use your mixer and what each function does. If you need help with learning all of the controls on your mixer and how to use it check out > THIS ESSENTIAL GUIDE. And if you're using a controller, an all-in-one system, or stand alone players check out > THIS GUIDE. And if you need help buying your gear check out > MY FULL BUYERS GUIDE FOR BEGINNERS. When you're first learning how to mix it's best to chose two music tracks that are of a similar style. You'll find each genre of music will usually be built around a similar bpm (beats per minute). So chose two tracks from the same genre to start with. When I started DJing I was using vinyl, so beat matching was a bit trickier than some of the options available today. But whether you're learning how to mix digitally, with CD's, or with vinyl, they all use the same principle. Most beginner DJ's like the idea of having two separate decks in front of them. So we'll assume that you're using stand alone players for most of this tutorial. We'll ad in a few digital software tips too, but the general technique is the same. Firstly you'll need to get two tracks loaded into your decks and have your pitch faders set to 0. You'll probably see that the tracks are of a different bpm to one another. For example one might be 133 bpm and the other 129 bpm. These bpm counters will get the tracks somewhere handy but they are for a rough guide only. You'll find that if you match them both to 133 bpm they probably won't be perfectly matched. This will also be the same with DJ controllers etc. So some manual beatmatching using your headphones will be necessary. The purpose of the headphones is to let you as the DJ work in private without interfering with the master output. So any changes you make to the channels that aren't playing out loud will only be heard by yourself through the headphones. This is known as headphone cueing and basically means you're getting the next track ready for mixing. You'll need to learn how to use your headphones correctly, so go here for a full explanation > show me how to use them. You will have to work to get the two records playing in time with each-other by moving the pitch control on the deck up or down. Working out whether you need to slow the record down or speed it up will seem tricky to start with. In the beginning it's hard to figure out which track is playing faster. If you have a mixer with a mini headphone crossfader or cue mix you'll find it useful for this part. Fading the one record out slightly can help you to work out which way to go. While you are working to get the records playing at the same speed you can give the tune a push to keep it in beat using the jog wheel. If you're using vinyl you can use the centre spindle to nudge the beat, or lightly touch the platter to slow it down. With a little practice you will soon be able to move the mixer's crossfader to the centre. If you hear both tunes playing in perfect time you're on the right track. Bare in mind that eventually; tracks will almost always need a slight nudge to keep the mix in beat during the transition, no matter how good the beatmatch is. Work out which way it will need nudging before starting the mix and as you progress you'll be able to gently nudge the beat before it actually drops out. For those using DJ software, beatmatching can be done using the sync button. This function changes the speed of the selected track to get them both playing at exactly the same BPM and ready to mix. But even the sync button isn't always perfect and tracks may still need some adjustment. There is also a nudge function that allows you to move each track forwards or backwards slightly. This allows you to get the correct beats lined up. This can also be checked visually using the parallel waveform on screen. If you have the quantize option this will snap your beats together and keep them aligned. This is the best way of keeping the mix on point for as long as you like without having to adjust the beat. The sync and quantize buttons are pretty good and work most of the time. But it will be hit or miss with certain genres of music like drum and bass. This is why it's good to learn manual beatmatching by ear, and don't become dependant on these functions. You should also look ahead to where you want to be in the future. If you're goal is to play at bars and clubs you will be using unfamiliar equipment. Some bars use old or cheap equipment and some of this gear may not have sync options, so you will need to be able to beatmatch your tracks manually. Knowing where to drop the first beat of the second track is done by counting beats. This is just as important as beatmatching when learning how to mix. When you listen to a track you'll hear the beats built on a 4/4 rhythm. There are four beats to the bar and everything goes in four bar phases, or multiples thereof. If you count the beats you will soon get to know when you need to drop the second track. But as a guide, while the first track is playing you find the first beat of the second track. You drop that beat right at the beginning of the bar in the first track. Usually after what's known as the break in the track. The break in a track will usually happen at 16 or 32 beats. Sometimes there is a small 2-4 bar break before the beats resume, this is where you'd start counting from 1 again. This is also why you should get both tracks in line, so both of the tracks beats break at the same time. This makes the mix sound clean and everything flows together perfectly. And you'd normally drop it where there is a long instrumental part, where you can easily mix in to the next tune. If the track doesn't have long instrumental sections you may be able to set a loop. If you're equipment has a loop function this is very simple to do with the touch of a button. It can be a great way of turning small 8 bar intros/outros into a long straight rhythm that's DJ friendly. So now you're dropping your beats in the right place and your beatmatching is perfect. Once you get this right your mixes will instantly seem to flow and fit together a lot nicer. But your mixes still won't sound perfect until your EQ settings are right. As you bring the crossfader across you'll probably hear the two bass-lines clashing, this can sound horrible. There can sometimes be nothing worse than a doubled up kick-drum. This can be resolved by changing your EQ settings, these are the low, mid, and high knobs that are in-line on each channel of your mixer.. This is an important thing to get right as you learn how to mix, but it's often ignored by beginner's and even many experienced DJ's. You should form a good habit of EQing every track during the learning process so that it just happens naturally. The simplest way to EQ a mix is to kill the bass on record two completely as you're bringing it in. This is the first method to learn and is the most popular method amongst DJ's. So on a standard mixer with a three band EQ you'll just be bringing in the mids and the highs. With a more aggressive mix you can bring in track two with no bass. You then wait for the break in both tracks and switch the bass from track one to track two instantly. This is known as switching basslines. Switching basslines can sound really awesome but it doesn't work with everything. You may be able to slowly increase the low frequency on track two, but this depends on the genre of music. As you're doing this you slowly decrease the lows on track number one to get a nice blend. Have a play around with different genres and the two different methods to see which you like the best. But a good tip is to not always use the same method of EQing throughout a set, switch some basslines, blend others slowly, and EQ the mids sometimes and not others. This gives variation to your transitions and makes the mix more interesting. When you're ready to learn more on EQing see my full article. This will teach you about clipping, and different EQ mixing techniques > GO HERE. Get your gains set right! It's very rare to find two tracks that have been recorded at exactly the same volume. So you will need to match the volumes of each track so that your set maintains a consistent level of volume throughout. When using digital software you'll usually see the auto gain function that will set the gains for you. You may want to use this to begin with, but it's best to learn how to mix without relying on these auto settings. Without using the auto gain option you'll need to use the gain knobs, usually located above the EQ panel. These are sometimes labelled as trim or input depending on the manufacturer. You need to get your gain set right before you open your crossfader to start the mix. If track one is playing and your gain on track two is too high it's going to sound awful; especially as you correct it and everybody can hear you rapidly changing the volume. When learning how to mix you should always bring in track two with its gain set much lower than track one. So set the gain on track two to around a quarter open. Once the crossfader is in the central position you can slowly increase the gain until it sounds perfect over the monitors. If you set your gains too high, you could see red lights on your mixer. This should be avoided and is a warning that you could be about to damage your equipment. If you see reds, just lower your gains or master volume to correct it. As a rule, gains are usually kept at the 12 o'clock position for live playback. Once you master these few beginner steps your mixing will sound great. As we mentioned monitors a moment ago, a decent pair of monitors will definitely make the difference to your mixes. If you buy a pair of crackly speakers with a low frequency range you'll find it a lot harder to get a decent sounding mix. Get yourself a pair that deliver strong punchy bass and crisp high end frequencies. It'll make a big difference, especially if you're planning on recording any of your mixes. Crossfader or channel faders to mix tracks? When you're learning how to mix you'll use the crossfader to switch between the two channels. This is the way most people will learn and is the way I'd recommend sticking to as a beginner. When you've mastered crossfader blends and general DJ mixing you can try different methods like using the up-faders. The channel faders, also known as volume and up faders, will be completely open when using the crossfader to mix. The volume will be controlled with the gains and the channel faders will stay put. If you use the channel faders to mix the crossfader will remain fully open for both channels. You will slide the crossfader to the central position and open the channel fader for the channel currently playing. The channel fader for the second track will remain closed until you are ready to mix it in. You can slowly open the fader to give a similar effect as mixing with the crossfader. Or you can wait for the first beat after the break and immediately open the fader dropping the beat straight in. This takes perfect timing, perfect volume settings, and accurate beatmatching, and sounds great. When you feel that you're ready to switch it up you can try this method to see which you prefer. Mixing with the crossfader was my chosen method during the beginner stages, but as I progressed I preferred this method. I also like to scratch a lot during my sets so my crossfader is set to open immediately. Using the channel faders means I don't have to keep changing the crossfader settings throughout my sets. You'll find some genres are a lot easier to mix than others. 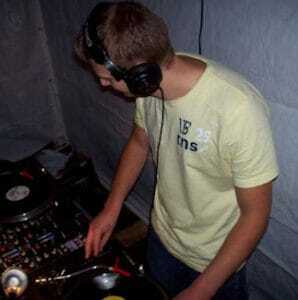 When I started DJing I learned how to mix with Hardstyle. Hardstyle has a very punchy kick-drum, snare, and high-hat on on each beat. This makes beatmatching easier as the beats are very defined. But you'll have to have the beats well matched as you'll hear it even if it's only slightly out of alignment. Hip-hop on the other hand is much harder to mix. The vocals leave very little instrumental in and out of each tune, and the range of the BPM can very massively. If you are using digital software, using loops can create a longer instrumental to help with this problem. More on this later. The speed of the music also helps. The higher the BPM the more beats you get throughout the record to help you get a good beat match. So again hip-hop, which tends to have much slower beats will be a lot harder to mix. If you like hip-hop and want to learn how to mix using it, don't let this put you off. It's important to mix the genres that you enjoy the most. Don't mix house just because everyone else you know is mixing it. Stick to the music that you have the most passion for. This will make you more passionate about your DJing, and it will definitely show in your sets. I also recommend sticking to just one music genre whilst learning how to mix. 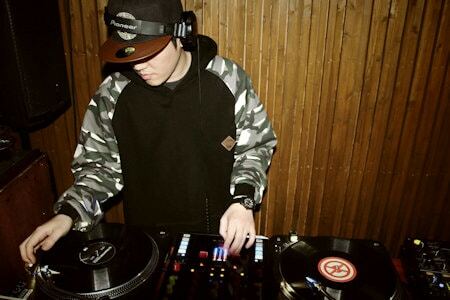 Mixing multiple genres is an important skill for DJ's to possess, but wait until you've mastered the basics. This means your tracks will all be a similar style and BPM which makes the whole learning process easier. As I mentioned earlier you can record your mixes and critique your own sets. This was important when I was learning how to mix as I could hear exactly where I was going wrong. You can then go back and drop the same mix again until you get it perfect. Your friends will also find it fun to listen to your mixes at home, or in their cars. Take their feedback seriously, if they say you need to work on it, they're probably right. Keep recording until you get it perfect! If you're using software most programs will have a record option, recording can be done with a simple click. If not you can link your mixer to a computer using an audio interface. You can use a simple program like Audacity to record and make small edits to your mixes. Simply plug your mixer into your computer, open audacity and start recording. An audio interface like the Behringer U-Control which you can find here on Amazon > HERE is a good cheap option for connecting your mixer to your computer. When you've mastered mixing you'll be able to make mixtapes to promote yourself as a DJ. But don't start handing mixtapes out until your mixing is perfectly on point. Remember, these mixtapes could hang about for a long time, especially if you've uploaded them for the world to download. You don't want them coming back to haunt you a few years down the line when your mixing is much better. When you do decide to start handing out mixtapes it's a good idea to drop in some samples of your DJ name. The mixtape could end up in the hands of a promoter that want's to book you. Without your name attached to it they'll never know who mixed it. You could record your own samples, or go to a site like fiverr and find a voice over to make you some. Use the same name in your samples as you use on your social sites so they can easily find you with a simple search. We mentioned earlier that loops can help create longer instrumentals to help mixing in and out of a track. I use them on most sets when a track has a short beginning or outro. After learning beatmatching, counting beats, and EQing, loops should be a priority and are an important part of learning how to mix. They're really simple to set and some hardware/software even has an auto loop function. Auto loops find the nearest beat when you press the button, the loop length is pre-selected but they usually range from 1/32 to 32 beats. When you press the button to exit the loop your track will continue to play as normal. you'll learn so much from mixing with each other. Try mixing back to back and get used to mixing into and out of unfamiliar tracks. You can also mix each others music and share mixing tips with each other. Maybe you'll both learn something valuable from combining both of your styles! Plus, a good mix on a Friday night with a few friends is damn good fun! This may be easier said than done, but try to get the use of the village hall or any suitable function room for the night. It'll get you accustomed to playing in a louder venue, and your friends will love you for it too. Even if you can only hold parties in your garden, that's just fine. And it doesn't matter how simple your set-up is. 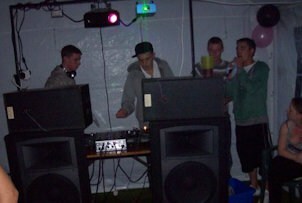 Most weekends we would set up the marquee with a couple of speakers and mix all night (picture above). This helped me so much as I moved towards my goals of mixing at clubs. Getting out of the bedroom is super important as you're learning how to mix, and also as you continue to progress. If you jump straight into a very loud nightclub it can be a big change. This can be very overwhelming after playing in a bedroom with 8" monitors. I've seen so many DJ's embarrass themselves trying to mix while they are smashed on drink. I've seen a DJ loose his regular spot at a club, and I've seen another DJ booed off the decks. A friend of mine was also dragged from behind the decks at an illegal rave, and had his records stolen. This is rare but it wouldn't have happened if he was sober. Mixing takes a fair bit of brain power, and just a small amount of alcohol can make a big difference to your mix. I've tried it and it really messed my mixing up, thankfully I was at home and nobody heard. If you want to have a drink then wait until your set is over. And if you are drinking to calm your nerves then it's best to just power through it. Nervousness is normal before a DJ set and the more you DJ the calmer you'll feel. This is another good reason to hold as many parties as possible, it gets you used to playing to and pleasing a crowd. Go out and buy as many mixed CD's in your chosen genre as possible, then study them to discover the professional DJ's mixing methods. You can also go out to a club and watch the DJ to learn a ton of new mixing skills. When I started DJing I didn't know any other DJ's so this is how I learned how to mix. I used both of these options and my mixing went from strength to strength. You'll learn things like the best time to mix out of a tune, how long to make a mix last, and mix EQing. Watching DJ's in person may even teach you things you want to avoid, even the pros make mistakes now and again. Back before the digital age when DJ's were mixing purely vinyl records, learning how to mix took a heck of a lot of commitment, time, and money. As equipment got cheaper and tracks became available at the click of a button people started DJing for the wrong reasons. DJing simply for the money, or just to get girls are the wrong reasons to begin mixing. You need to really love music and have a passion for bettering yourself as a DJ. I've seen lots of people come into this for the wrong reasons and they don't last long. It shows in their attitude towards the crowd, in their mixing, and their overall persona. Eventually their gigs dry up and everybody easily forgets them because they had totally the wrong attitude towards DJing. If you're this person then you should walk away now, but if you think you have what it takes; welcome to the club! Have fun learning how to mix! So there you have it, the basics of learning how to mix and progressing as a DJ. Remember, these are the foundations of mixing and once you've learned them you can adapt your own style. There really aren't any rules and as long as the mix sounds smooth and clean, you're on track. Play about with different EQ settings, different crossfader/channel fader methods, etc, to find unique DJ mixing styles. Doing your own thing is what will make you stand out to fans and promoters, this will make them remember you. You should also remember that learning how to mix can be a long process. Mastering mixing certainly won't happen overnight, so take things one step at a time in the order of this article. Have fun with it and don't be annoyed when things go wrong, or if there's one thing you can't quite get right. Take things slow and steady, it's all about practice, do it enough times and eventually you'll get it right. Thanks for checking out this article and kick starting your DJ journey. Put what you've just learned into action and you'll certainly have a head start over most DJ's. Some of these things took DJ's months to learn back in the dark ages before the internet. Learning how to mix is so much fun and I hope you get the most out of this article. You'll definitely be interested in my guide to becoming a DJ > HERE. Yes there is more to learn!!! And for some top beginner tips check out > THIS ARTICLE. And if you want to avoid the most common mistakes made by DJ's of all levels > GO HERE. Let me know how learning how to mix works for out you, any other tips are welcome below in the comments! 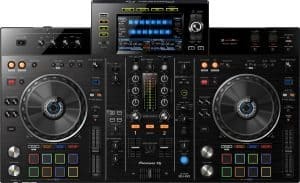 Pingback: The best DJ controller for 2018 - Which controller should you buy?